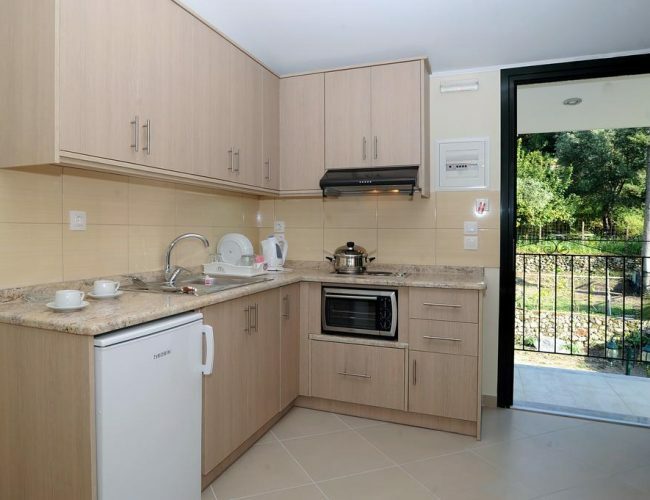 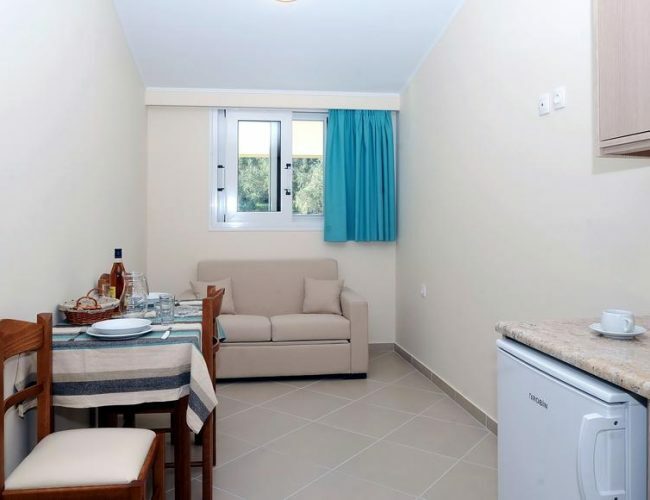 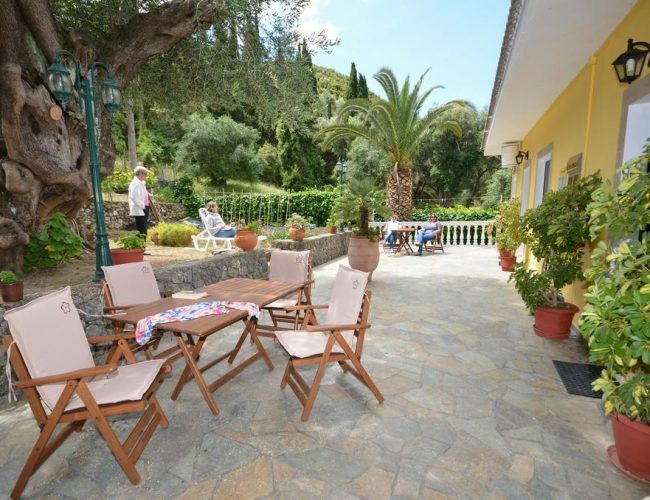 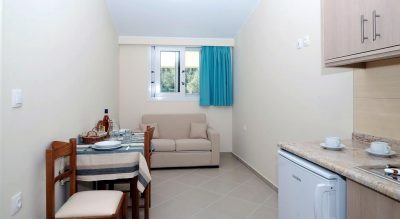 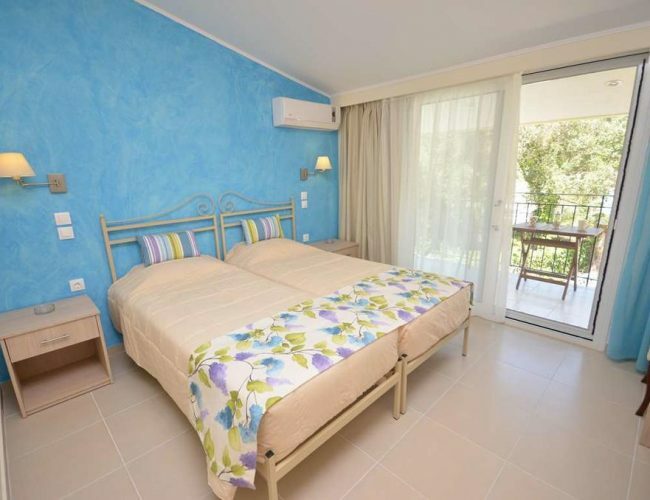 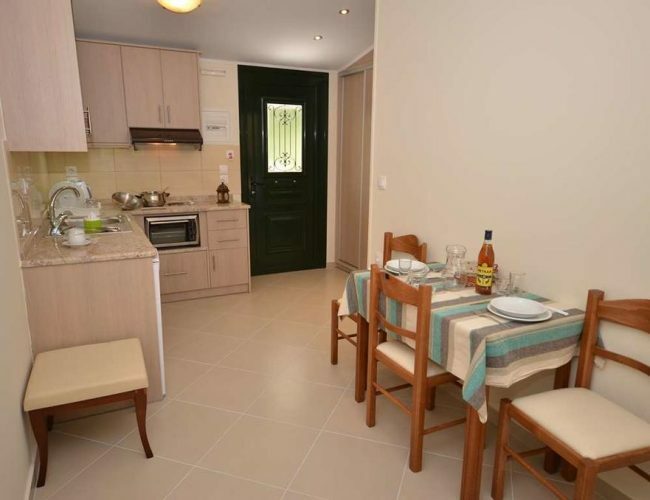 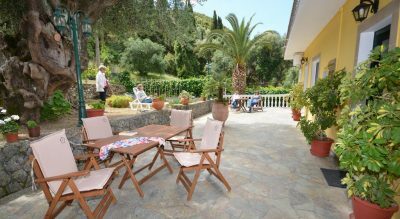 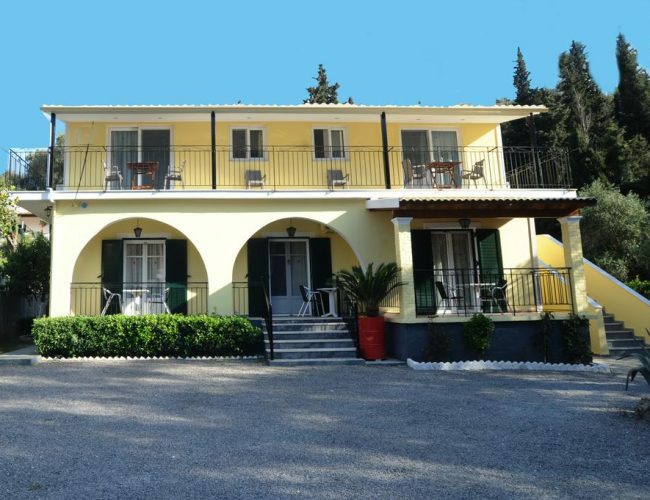 In a quiet area, the well-maintained accommodation is set in its own large garden shackled by olive trees. 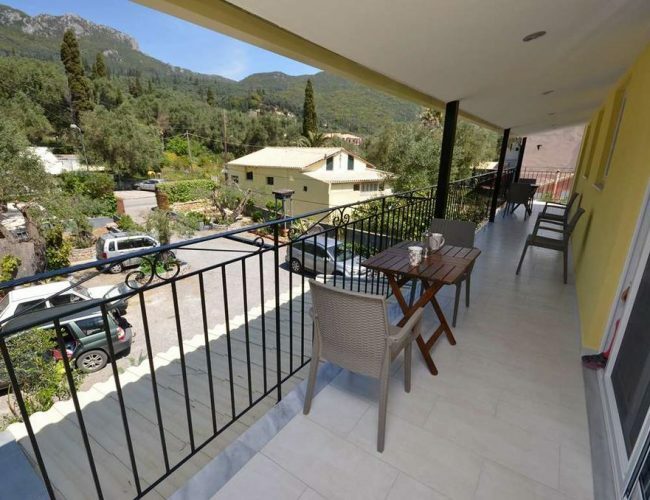 Set back from the road with a large shared terrace. 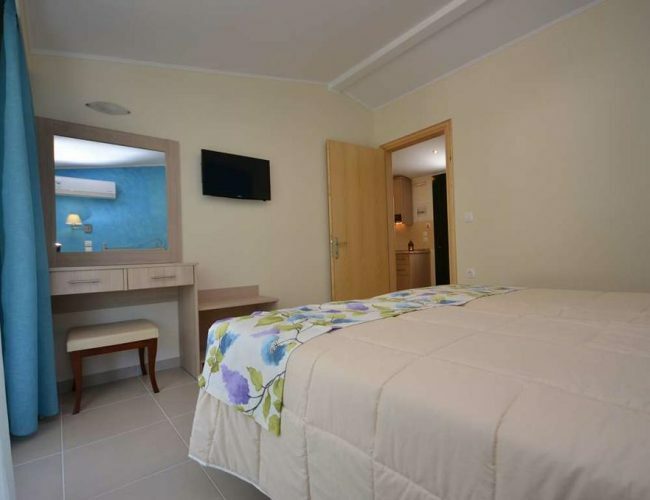 With taverns, restaurants, car and bike rental, souvenir – shops, bars mini and supermarket all are 50-300m walk. 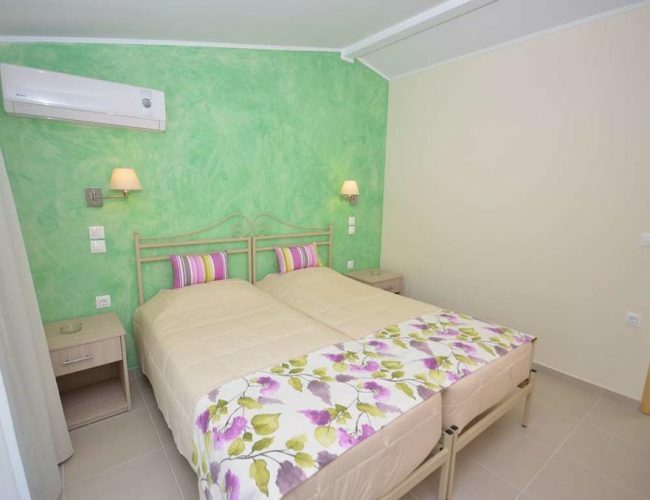 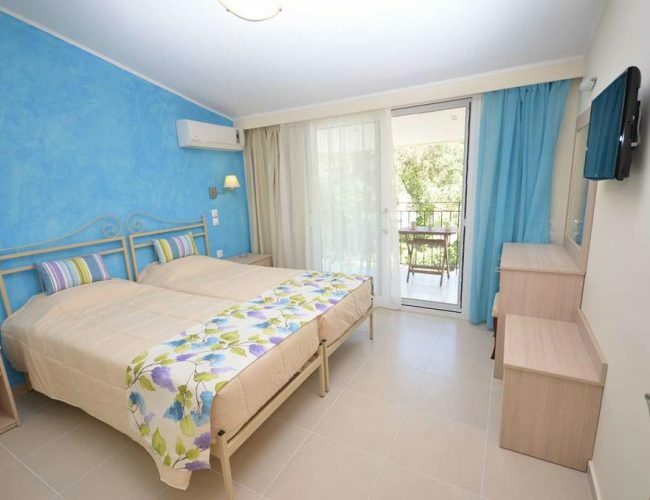 There is a studio with twin beds, A/C, TV and safe deposit box in the bedroom. 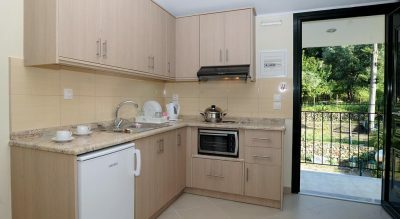 The studio has a kitchenette with two cooking rings and a fridge. 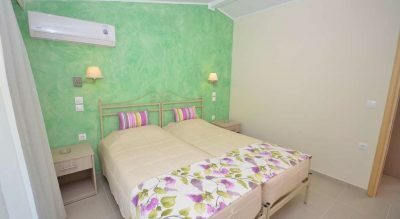 The apartment has two bedrooms both with twin beds also A/C and TV in each bedroom. 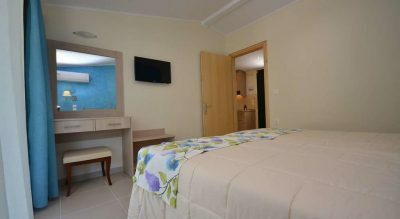 Safe deposit box is available in the apartment. 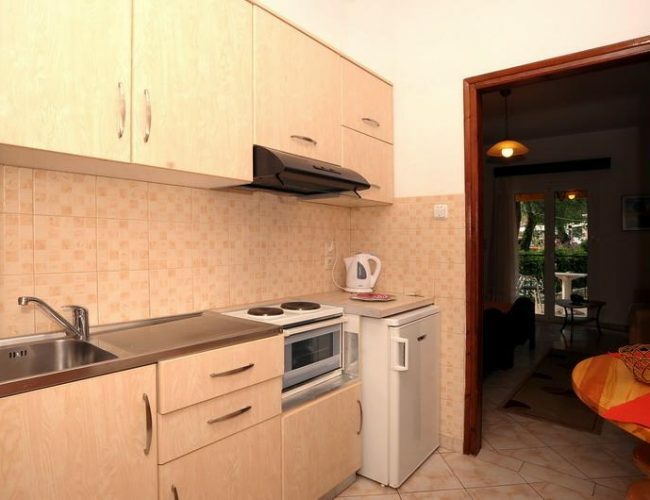 A separate kitchen with two cooking rings and a fridge. 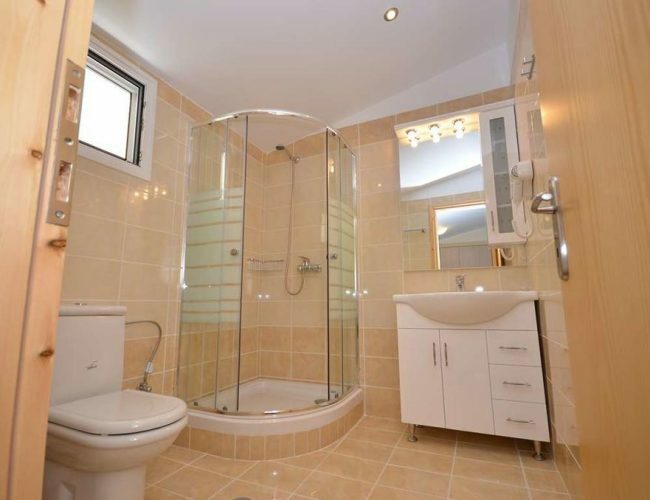 The bathroom has bath and WC.